MAKE YOUR OWN DAMN SANDWICH!. . Wallpaper and background images in the Feminism club tagged: feminist feminism sandwish make your own me. LOVE! 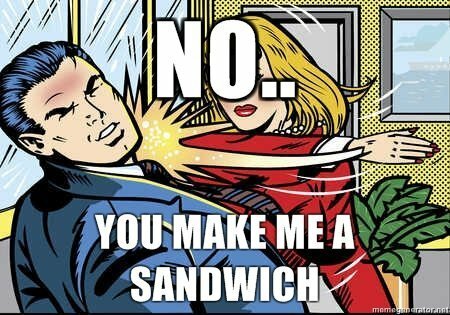 I get so tired of all these sexist, "Make me a sandwich!" jokes on the internet. ^^Yeah, it's so annoying! Men, for God's sake, make your own sandwich!